With many delightful courses, pure coastal breeze from the Atlantic ocean, great fresh gastronomy and fantastic weather conditions, the Alentejo is a Golf Bliss for most golfers. 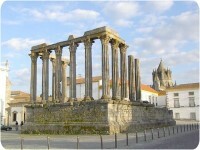 The Alentejo is the largest region in Portugal. It owns vast open countryside landscape with undulating plains, rich fertile soil and an unspoilt west coast with fantastic natual beaches. With very few exceptions all the major towns are mainly reliant on agriculture, livestock and wood. Typical products from this area are grain, sunflower, carthame, fruit, vegetables, olives, wines, cork, eucalyptus, lamb, pigs, kid, granite, schist and marble. 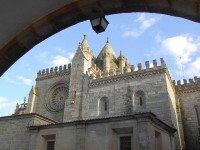 Topographically the countryside varies considerably, from the open rolling plains of the south of the Alentejo to the granite hills that border Spain in the north-east. To feed the water needs of this considerable area a number of public dams have been constructed. 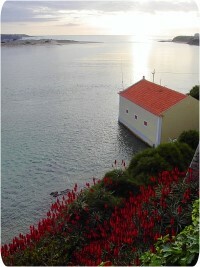 In the heart of the productive agriculture zone of Moura, there is the largest dam in Portugal also and one of the largest water surface areas in Europe. To the east of Portalegre is the Parque Natural da Serra de São Mamede, a fascinating Nature Park Area that includes charming medieval villages that have changed little from those days. 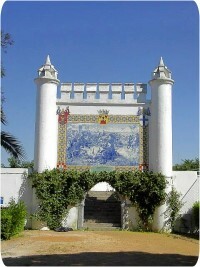 In the south near Mértola is another Nature Park Area named Parque Natural do Vale Guadiana. This is mainly uninhabited and is a contrast to the previous one. To the west, the coastal strip that runs from the port of Sines down to Cape de São Vicente is also a reserved area with kilometres of sandy beaches. 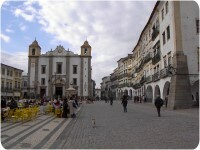 The capital of the "Baixo Alentejo" (South Alentejo) region is Beja, and the capital of the Alto Alentejo (North Alentejo) is Évora. 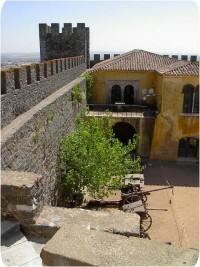 Both these cities are rich in their history, ruins and historic buildings. Their stories reflect the turbulent backgrounds of invasion, battles and occupation, either by Romans, Vandals, Moors, or feuding royal families within Portugal.